The tradition and style in the design of Persian Gardens has influenced the design of gardens from Andalusia to India and beyond. Fin Garden, or Bagh-e Fin, located in Kashan, Iran, is a historical Persian garden. 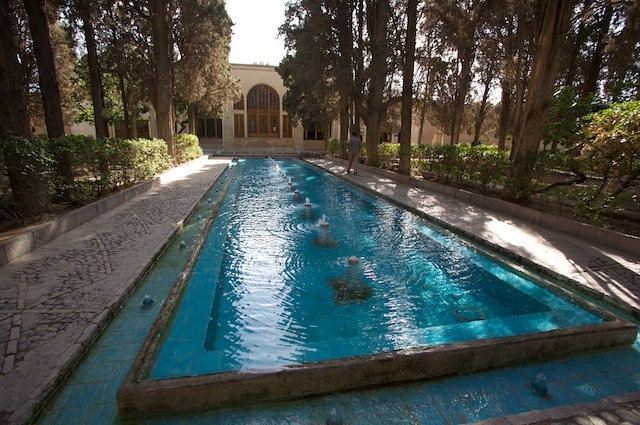 It contains Kashan’s Fin Bath, where the reformist Qajarid chancellor, Amir Kabir, was murdered by an assassin sent by King Nasereddin Shah in 1852. Completed in 1590, the Fin Garden is the oldest extant garden in Iran. Unesco declared the garden a World Heritage Site. The origins of the garden may be anterior to the Safavid period but the settlements of the garden in its present form were built under the reign of Abbas I of Persia (1571-1629), as a traditional bagh near the village of Fin, located a few miles southwest of Kashan. The garden covers 2.3 hectares with a main yard surrounded by ramparts with four circular towers. In keeping with many of the Persian gardens of this era, the Fin Garden employs many water features. These were fed from a spring on a hillside behind the garden, and the water pressure was such that a large number of circulating pools and fountains could be constructed without the need for mechanical pumps. 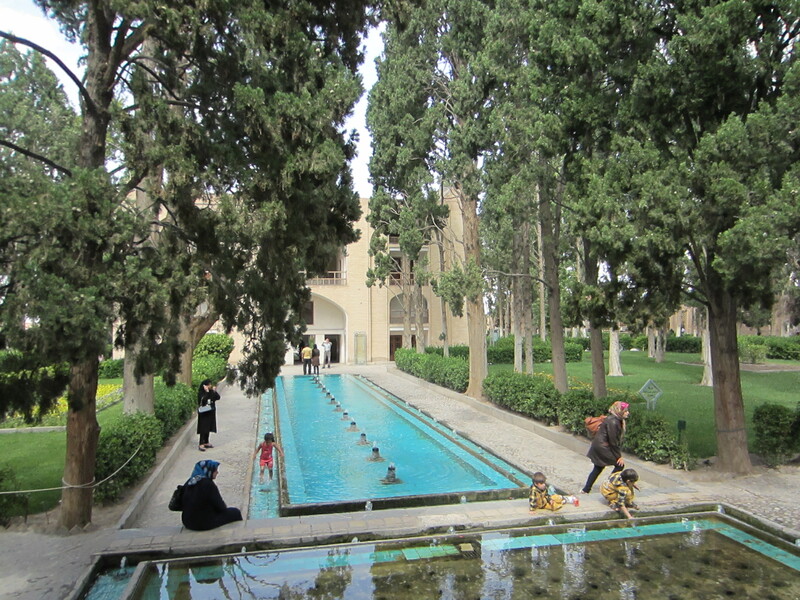 The garden contains numerous cypress trees and combines architectural features of the Safavid, Zandiyeh and Qajar periods. 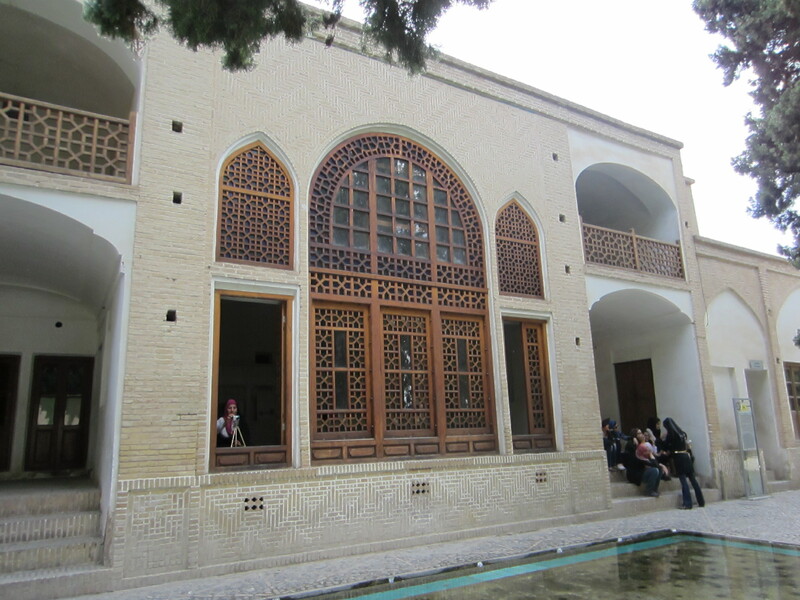 This entry was posted in Architecture, Travel and tagged Architecture, Fin Garden, Iran, Isfahan Province, Kashan, Persian Garden, Photos, Travel on October 28, 2014 by socialinform.